The dress I'm wearing in this picture is a hand-sewn, satin which belonged to my Grandmother McKenzie. I like to wear it on Halloween for two reasons: it's black, and it reminds me of her. In all my books you'll find scenes and snippets of memories I hold dear. Book 1 "Murder in Half Moon Bay" holds memories of my beloved garden club in California. Book 2 "The Ghost Orchid Murder" is set in the beautiful city of Scottsdale where I visit often and love looking at majestic Camelback mountain. In Book 3 "From the Clutches of Evil" I tried to capture memories of the quaint towns of Pleasanton and Sunol. Early California history also plays a role in that story. Book 4 "The Mark of Eden" captures fond memories of a trip to Hawaii with my husband and two of our children. I wrote about the afternoon tea at the Banyon Tree veranda courtyard, the acquarium within walking distance of Waikiki, and chocolate covered macadamia nuts to name a few. Book 5 "Pacific Beach" almost reads like a travel log at first. In this book you'll read about our family reunion near San Diego and all the wonderful times we shared over a fourteen year period. Christmas memories abound in Book 6 "Waiting for Santa" from my love of fruitcake to a game our family played called Christmas Eve Gift. 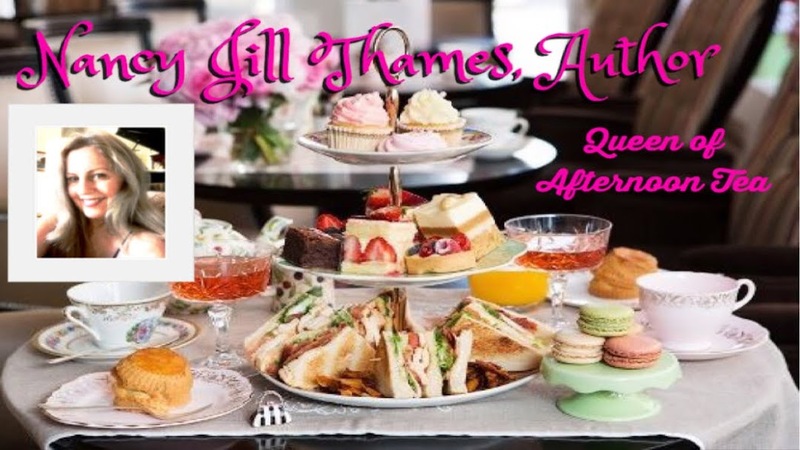 Book 7 "The Ruby of Siam" reflects memories of a trip my husband and I took to England, Scotland and Wales for our fifteenth wedding anniversary. 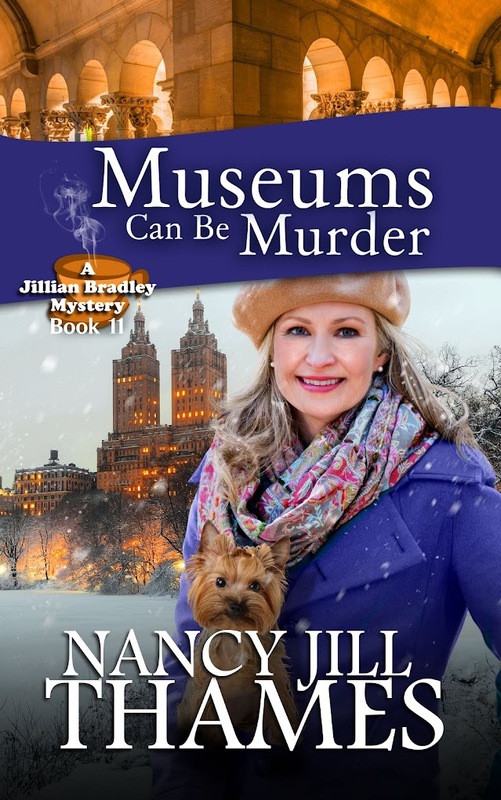 Many of the restaurants and sites we visited found their way into this latest story in the Jillian Bradley mystery series. So if you find yourself reading elements which sound like a travel experience or a family tradition, you may be right. Whether I sell thousands of books or millions, in the end I'll have a string of wonderful memories of the life I've lived. I hope they bring smiles to you as well. 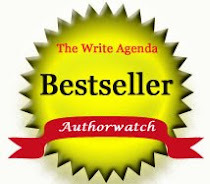 on your e-reader for free! All books are G-rated and contain no profanity. Several years ago I stayed with my husband at the Ritz-Carlton Half Moon Bay. 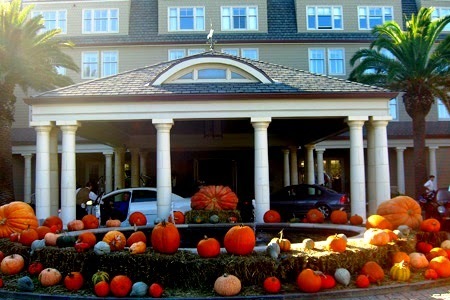 As we arrived, pumpkins weighing over six hundred pounds a piece adorned the portico. Truly an amazing site. Half Moon Bay is noted for it's fall pumpkin festival. People travel from all over the state of California not only to view pumpkins, but to view the beautiful ocean and enjoy sumptuous seafood cuisine. 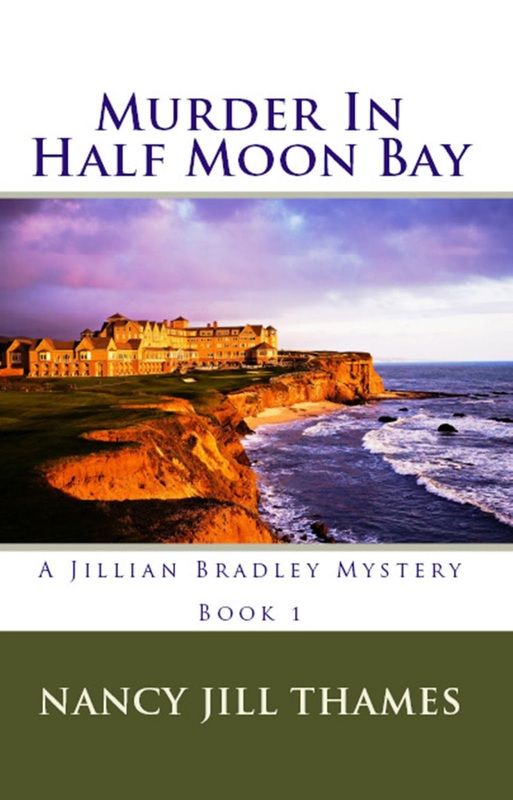 Both "Murder in Half Moon Bay" and "The Mark of Eden" were set in Half Moon Bay. Book 1 revolves around the Ritz-Carlton, while Book 4 finds back-streets of the town and a cruise to Catalina Island in which to unfold. Someone said my books often sound like travel logs, and rightly so. I've traveled as an air force brat and as the wife of a business man. My stories incorporate what I've experienced both in locals and cuisine. If you enjoy the finer things in life, you may enjoy the books I write. If not, there are many other genres to choose from. 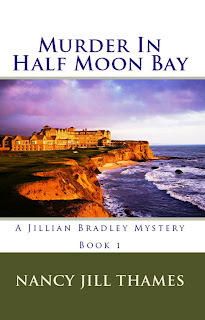 I invite you to download "Murder in Half Moon Bay" as a free gift from me. There's more than pumpkins in the adventures ahead. 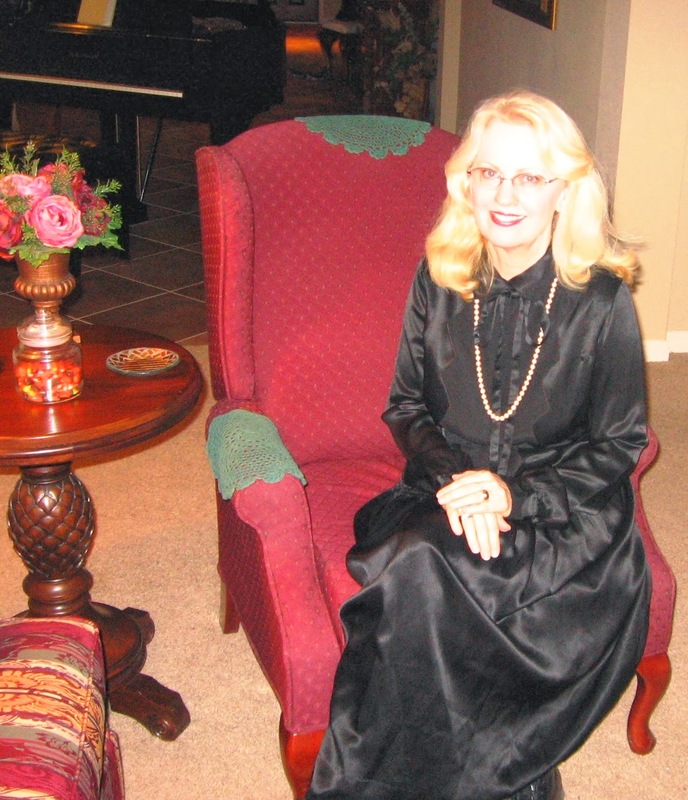 When she isn’t plotting her next book, she spends time with her six grandchildren, tags along with her husband on business trips, and plays classical piano for her personal enjoyment. 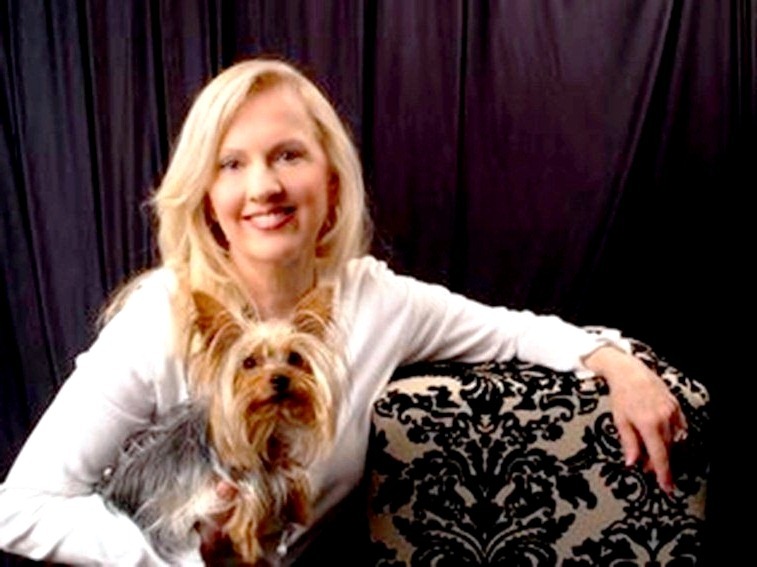 She is an active member of the Leander Writers' Guild, American Christian Fiction Writers (ACFW), CenTex Chapter-ACFW, and supports the Central Texas SPCA with a portion of her book sales. She resides with her husband in Leander, Texas. Nothing Like a Good Murder Mystery! Jillian Bradley is All Over the Place!